Vacation at the WorldMark Branson and let the fun begin! A comfy timeshare resort conveniently close to all the entertainment and excitement of Branson, Missouri—what could be better? When you become a WorldMark Branson timeshare owner, theaters, live shows, shopping, water sports, dining, and an almost endless selection of activities are easy to plan and enjoy. Rent or Buy WorldMark Branson timeshare on the bargain-filled resale market and head into vacation every year or exchange your week for a getaway at one of the affiliated WorldMark resorts around the world. Recognized as the “Live Entertainment Capital of the World,” and often called, “America’s Family Entertainment” destination, Branson is a preferred vacation spot for couples, families, and seniors who want lots of choices for having lots of fun. Whether your preference is country music, pop, gospel, show tunes, live comedy acts, magicians, acrobats, dancers, or just about anything else you can imagine, you’ll find it in Branson. And because this town is designed for getaways, holidays, and vacations, shows and concerts are so affordably priced and easy to schedule, you don’t have to pick one or two—you can see them all! Designed much like private residential condominium homes, the spacious WorldMark timeshare condos in Branson are all built in three-story complexes (the resort does not have elevators), many feature a pool view, while others overlook a small lake. Seasonally, the resort’s outdoor pool, outdoor spa, and outdoor kiddie pool offer a great way to chill out after a busy day at the local attractions. The resort also features a tennis court, basketball court, billiard and Ping-Pong tables, a fitness center, a children’s playground, and arcade games. 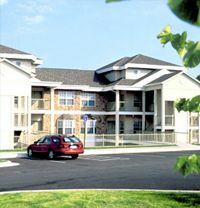 Timeshare units at the Branson WorldMark vary in size and floor plan, ranging from 1-bedroom plans, 2-bedroom plans, 3-bedroom floor plans, and unique penthouse units with unique features. Also available are units that offer special needs features including grab bars, roll-under sinks, roll-in showers, closed caption TV & TDD phones available on request. Some units feature lower countertops and light switches. All 1-bedroom units are designed for up to four happy vacationers, 2-bedroom units are designed for up to six, 3-bedroom units are designed for up to eight vacationers, and penthouses vary depending up on the floor plan you select. Most units include a patio or balcony, a gas fireplace, a gas barbeque grill, cable ready television(s), DVD player(s), air conditioning, and a whirlpool or jetted tub in the master bath. In many of the WorldMark Branson condos you can also enjoy the convenience of an in-unit washer and dryer. What Will You Do on Your Branson Vacation? Outdoor enthusiasts will appreciate Branson’s beautiful Ozark Mountain locale, the fun of water sports, boating, and fishing at Bull Shoals, Table Rock Lake, or Lake Taneycomo, and the year-round pleasures of hiking, horseback riding, or biking in this four-season destination. The WorldMark Branson resort is a WorldMark the Club property and part of the Wyndham Vacation Ownership family of properties. As a points-based timeshare, your ownership of WorldMark the Club timeshare opens the door to a world of exciting travel and vacationing, whether you head for Branson year after year or choose timeshare exchange as a way to explore other exciting destinations. Why not ask a timeshare resale specialist at BuyaTimeshare.com to tell you more? Then the next time someone asks you “what could be better?” you’ll be able to smile and say… nothing is better than buying WorldMark timeshare resales and loving every vacation you take. Contact WorldMark Branson Specialist Today!